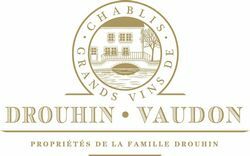 Site: very close to the village of Chablis, on the south west side. It is one of the seven Premier Crus due to its excellent exposure and kimmeridge soil concentration, giving it the easily recognizable character of Chablis. Drouhin estate: 2.1 ha. (5.25 acres). Average age of the vines: 30 years. Average yield at the Domaine: 56.82hl/ha (the yield currently authorized for the appellation is now 58hl/ha). "A dry and brisk wine, typical of Chablis. Brilliant yellow-green colour with green reflections. On the nose mineral and complex aromas are reminiscent of lemon and white flower, together with vegetal hints such as asparagus or artichoke and marine notes. On the palate, the first impression is clear-cut and sharp. Long on the aftertaste, with fruity as well as mineral flavours; becomes slightly honey-scented when the wine is more evolved". Thanks to its tings and its full-flavoured citrus aromas, 2014 rightfully takes its place among the great vintages. Briny, lightly floral.